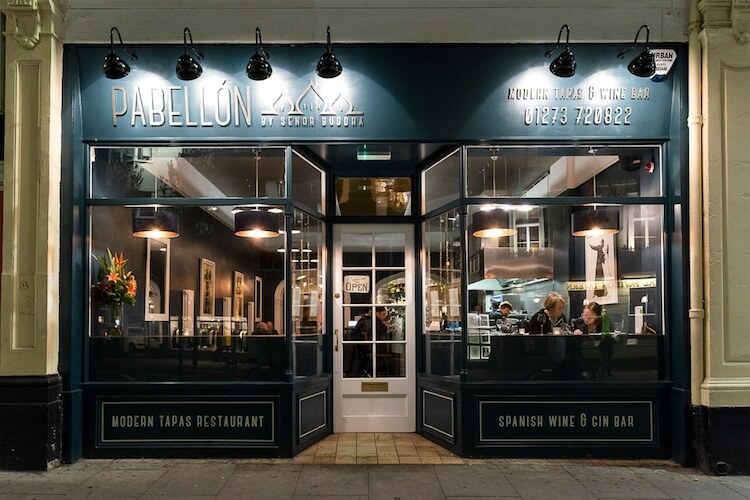 Pabellón Brighton is situated at the bottom of North Street near the Royal Pavilion, from which it draws its name. This younger sister restaurant to neighbourhood favourite Circo (formally Señor Buddha, Preston Circus) has a much more grown-up feel to it. 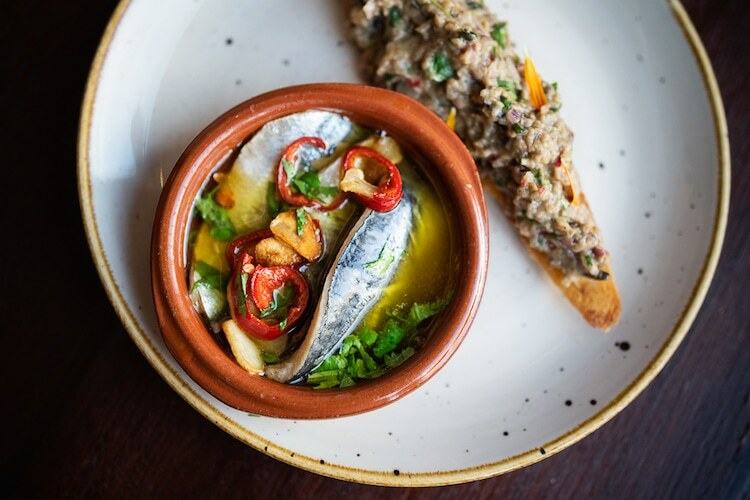 LLike Circo, Pabellón delivers a bold, creative modern take on Spanish tapas with a laidback, fun vibe that’s very much in the Spanish “tapeo” culture of casual, social eating. 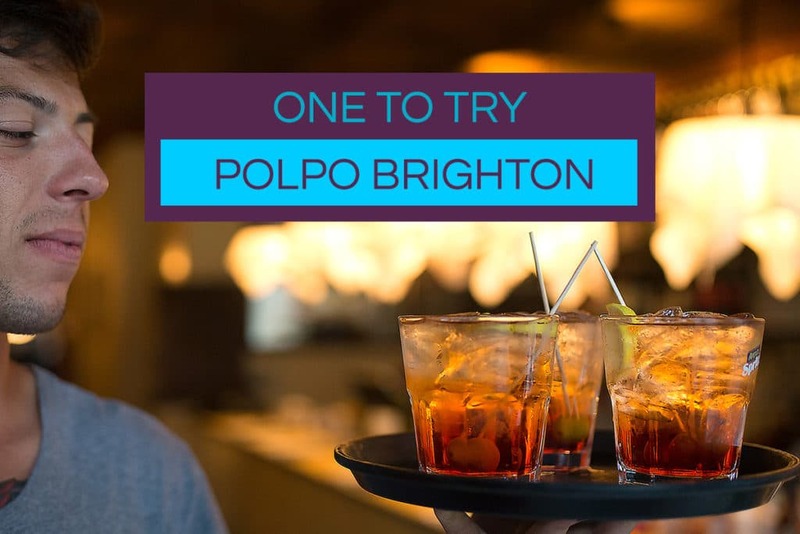 The ample splendour of the historic Pavilion Buildings that house Pabellón Brighton has been decorated in ink blue with dark wood floor and tables and worn leather seating. The high ceilings and full-length windows keep the space light and relaxed. 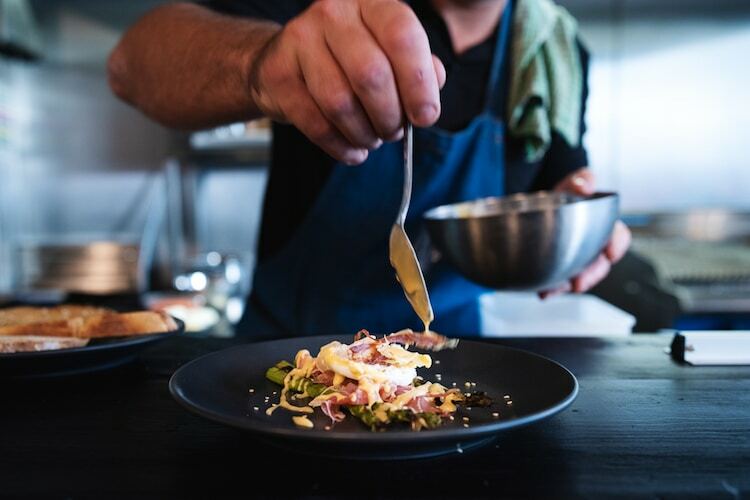 The focal point of the restaurant is the open kitchen-bar where diners can enjoy beautiful small plates being created before them. 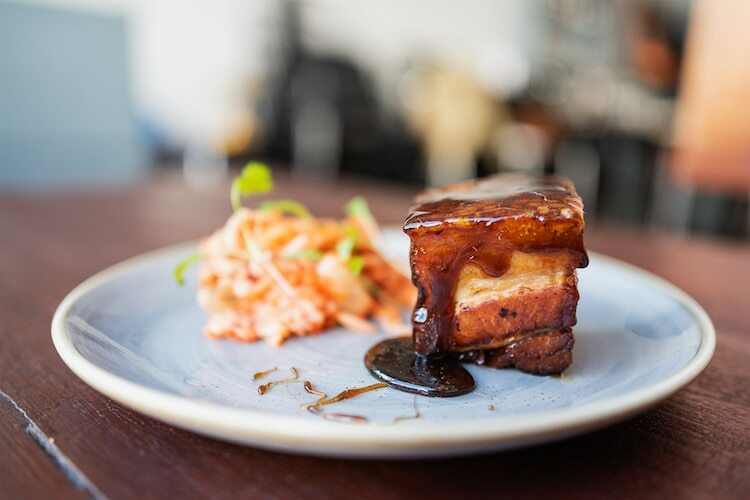 Pabellón offers all-day tapas from midday seven days a week. 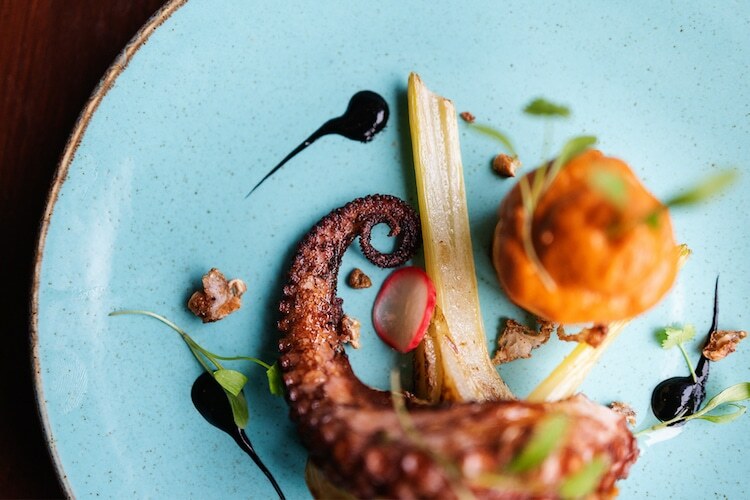 Located just a short distance from the Theatre Royal, Brighton Dome and Corn Exchange, Pabellón Brighton is an excellent option for pre-theatre dining, bringing table theatre of their own to an evening. 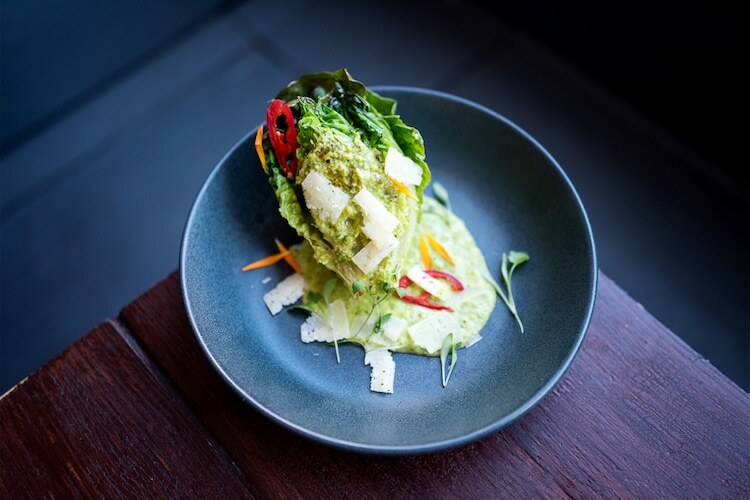 Weekday promotions such as three for two tapas on Mondays and a Tapas del Dia menu available until 6pm Monday to Thursday make dining at this exciting restaurant an everyday option. The menu is divided into “plant”, “meat” and “fish” with plenty of options for vegetarians and vegans. 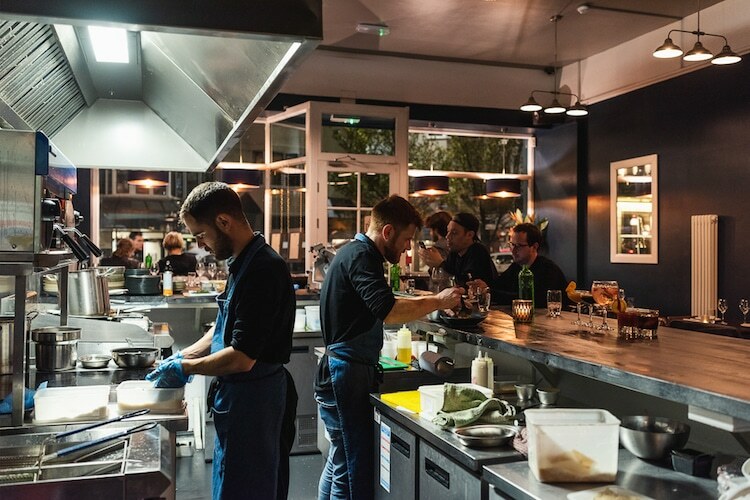 While many dishes are gluten-free, the nature of the open kitchen means cross-contamination cannot be avoided entirely. The team at Pabellón and Circo have developed direct relationships with growers and producers in Spain with a focus on sustainability and seasonality for fresh produce. The concise wine list at Pabellón has been carefully curated to complement the cuisine and encapsulates some of the best wine Spain has to offer. 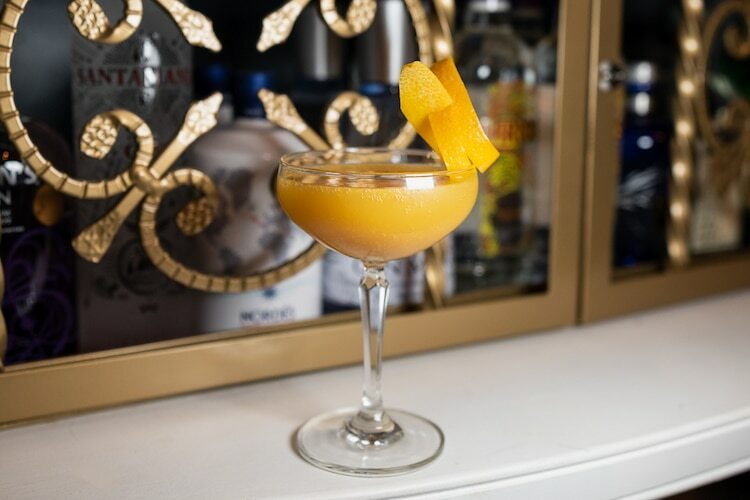 Pabellón also stocks an extensive range of Spanish gins and sherry, as well as serving a variety of handcrafted cocktails and aperitivos. What an amazing tapas for lunch and really loving this stylish new venue in Brighton. Highlights included the juicy meatballs and I thought the Bloody Mary was incredible. Thanks for looking after us Hugo and we will be back to see you soon.